OOH FANCY THAT: .. father's day feast ..
.. father's day feast .. I wanted to show you some pics of the Father's Day feast I prepared. I was so harried that day, mostly because I underestimated the time I would need to get everything ready, that I unfortunately didn't have time to take pics at each stage of the cooking process. Therefore, I'll just show you a little bit of what I was able to capture, and maybe in the future I'll do a proper recipe post for everyone! 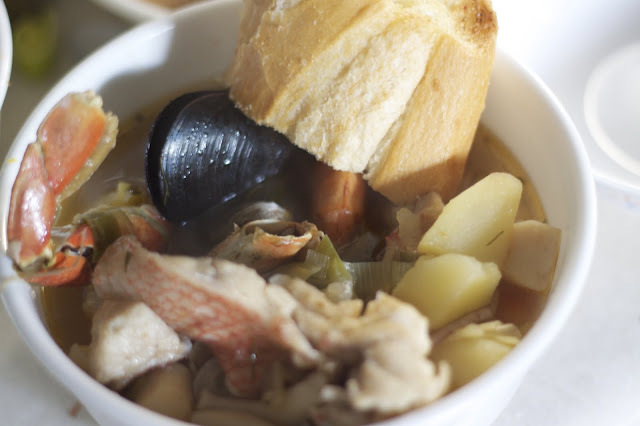 My dad loves seafood stews, and when we visited Mexico years ago, he fell in love with their version of a fisherman's stew. I decided to make the French version of it--bouillabaisse--just for a bit of variation. My mom helped me out tons on this one, as she purchased the freshest red snapper for me. She brought home two whole fish, and cleaned and filleted them! In addition to that, she used the bones from the fish to make me the sweetest, most flavorful broth ever. 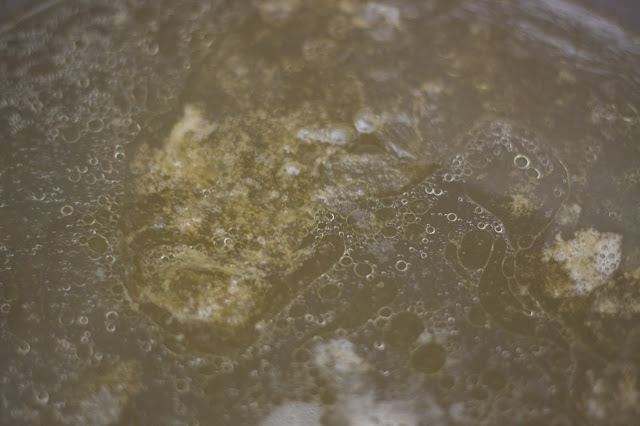 At times, you might worry about a fish stock being overly fishy, but if you use quality ingredients that are really fresh, and you make sure to smell and inspect your ingredients, you should be fine! My mom actually made me a fish stock and a chicken stock, and combined the two for a milder, more well-rounded flavor profile. If you can make your own stock, do it. It'll make your soup taste all that much better. As you've probably already gleaned, I don't really cook from recipes, but I did take a look at a few online for inspiration/reference. This recipe from Epicurious is a nice one, and the rouille takes the dish to a whole other level. You add it to each bowl of soup and it provides that extra kick of garlic, and because it's bread based, it thickens the soup just right. 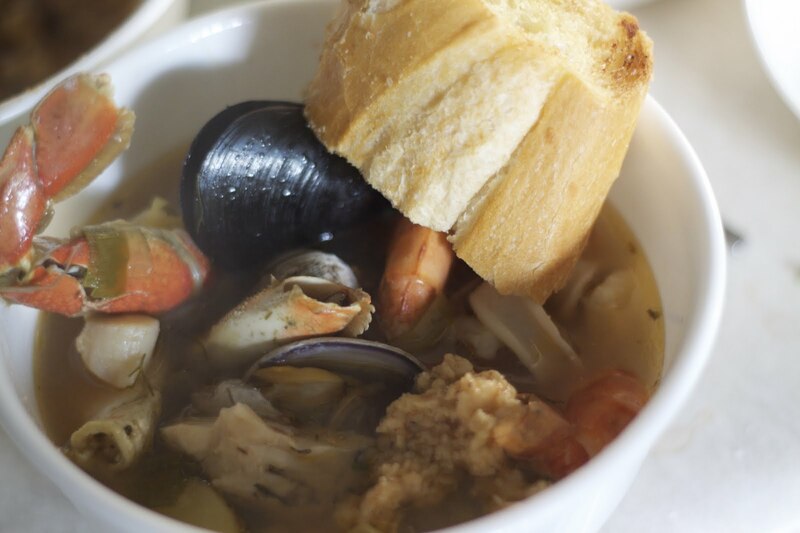 My version of bouillabaisse is filled with all kinds of fresh seafood--prawns, clams, mussels, red snapper, scallops, crabs, and squid. I don't think I'm forgetting anything, but I can't be sure! I would've added lobster tails, too, but given how many were dining with us, it just wasn't that practical. 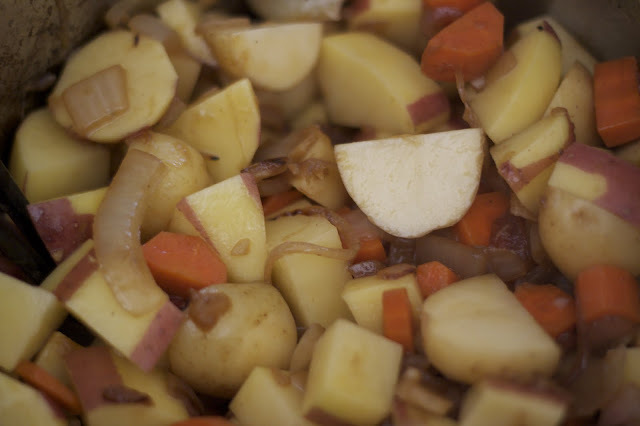 Also, I added potatoes, beech mushrooms, carrots, leeks, and tons of onion and garlic. I think the fennel, saffron, and rouille make it quintessentially French, so those elements were not to missed. The stew was served with crusty french bread, which I lathered with a roasted garlic butter I made, topped with some grated pecorino romano (that I had leftover from the pasta carbonara I prepared), and then under the broiler for a couple of minutes. Sauteing some of the aromatics and veggies before adding it to the stock. A look at the beautiful stock in the making. 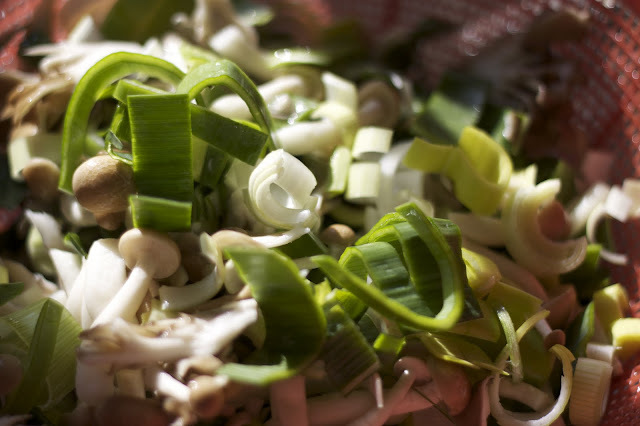 Mushrooms and leeks all clean. 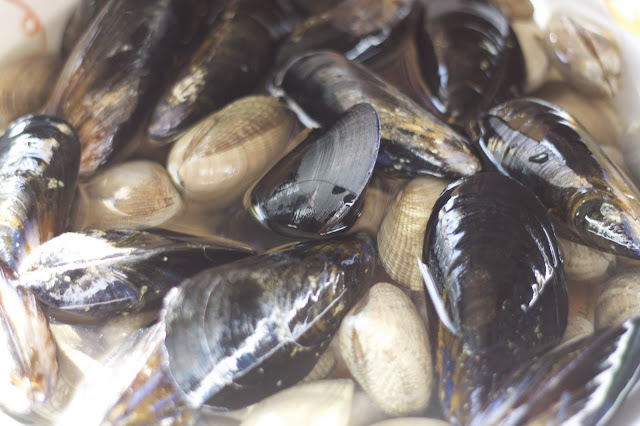 Thoroughly cleaning the mussels and clams in many a water bath. 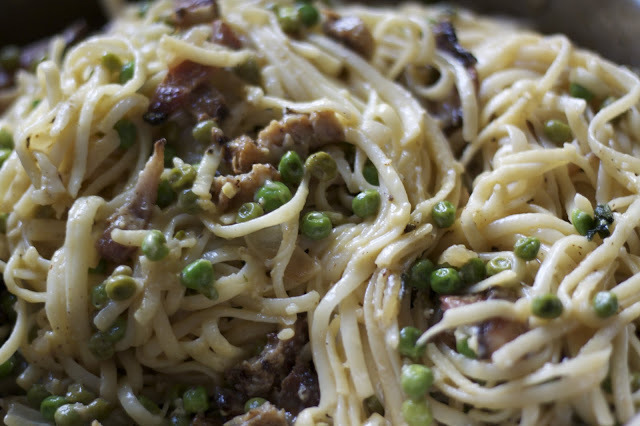 For the pasta carbonara, I used two types of thick cut bacon, and added peas and herbs to it. For this dish, you'll render and crisp the bacon first, remove most of the bacon fat, but leave some of it in the pan to saute the onions and garlic in. This was super easy and delicious, so I might be making this more often. I know this isn't typical, but I made a light cream sauce and added some white wine as well, in addition to the beaten eggs with romano that I stirred in at the very end (make sure the heat is off at this point, as you don't want to scramble the eggs). Be careful with how much salt you add, because the pecorino romano and parmigiana reggiano are quite salty already. I think it turned out really well. Hope you try these dishes for yourself!! I know they're not the prettiest of dishes, and had I had more time, I would've plated them up nicely, but you know how it goes. Anyways, it's more of a rustic meal. For this menu, I think there's a little bit of something for everyone's liking, except not if you're a vegetarian, of course. 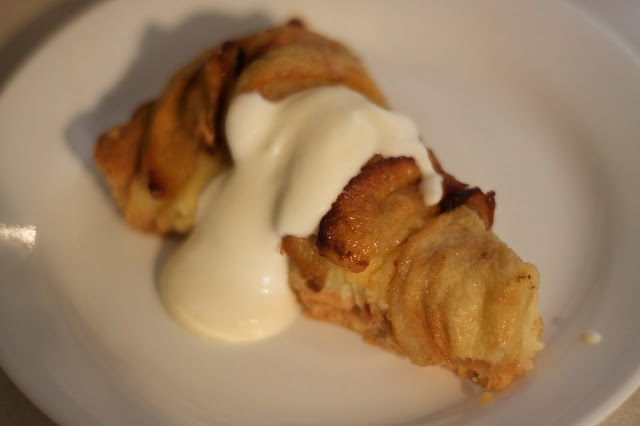 Lastly, we had a great apple tart for dessert. I always want to make dessert, but often don't have the time for it. I wanted to serve it with vanilla bean ice cream, but completely forgot about it when I was at the store, so I just whipped up some cream that I had leftover, and added some sugar and vanilla extract to it. That worked just as well! wow your dad is a lucky guy!! everything looks so delicious!